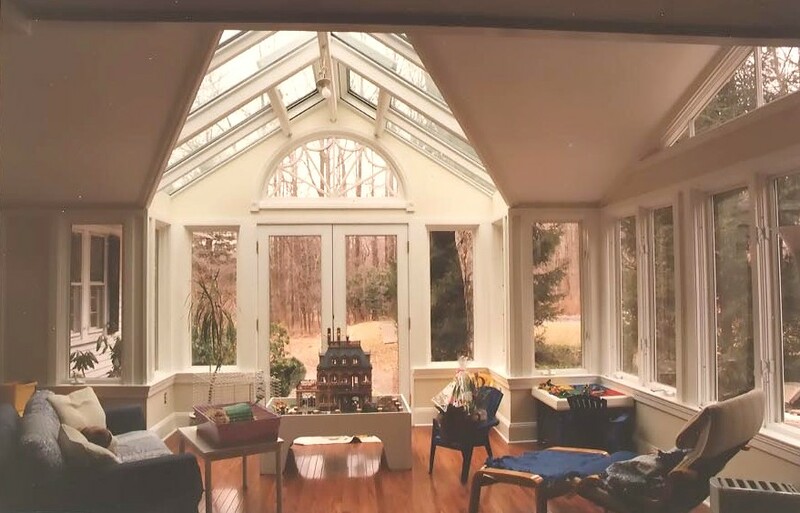 Designed to open up the family room in this older colonial style home, a gable roofed conservatory with valley connected to a lean to style conservatory was fabricated. 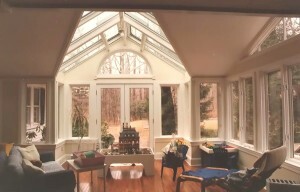 Featuring a classic cove and bead molded Aye & Better Douglas fir frame with clear pine trims. 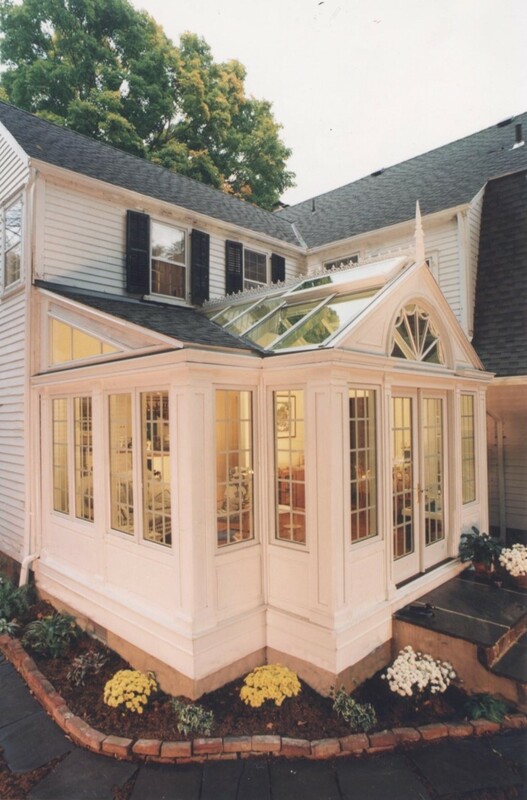 A raised panel base wall, french door set with fan lite above, casement windows, and operable roof vents make for a functional addition.